Last year I made two dozen Paper Dress Cards, I really enjoyed making them and sending them. So much so, I made another round in the last two weeks. This is a fun project to take with you and work on. Using 6x6 papers and the back side (rubber cushioned) of my Tim Holtz Stamping tool I was able to make dress while waiting for my client is a dental office! For the link to the video on making these little gems click on Paper Dress Cards highlighted above. Before you start your own, just a tip: use paper, don't do this with card stock, scapbook sheets like the kind in the 180 sheet stack are perfect. Before I added the ribbon I used a little adhesive to keep the sides down and hold the ribbon to make the ribbon tying easy. This makes the bow tying really easy! I packaged these up without a sentiment, I will pick the appropriate on when I get reading to send the card on it's way. This just makes it so much more versatile! 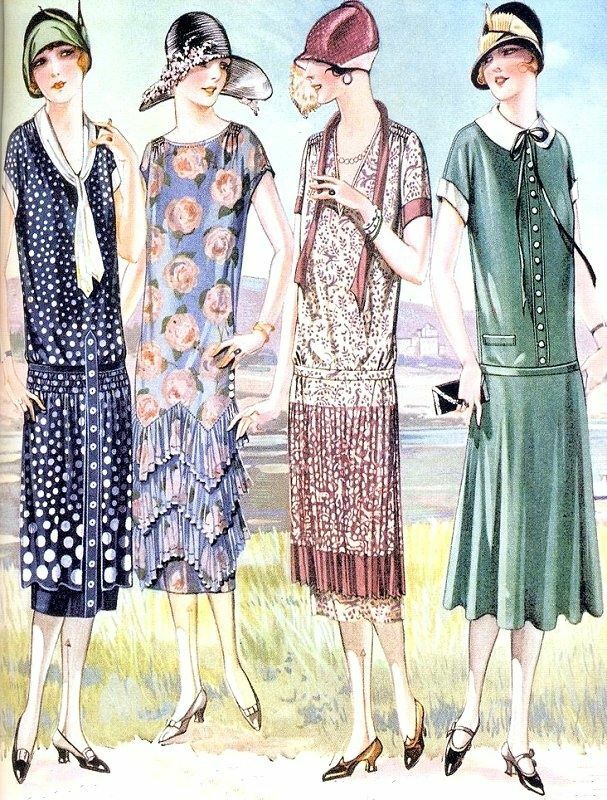 Not the same era, but a great fashion image! Happy ThanksLiving From My Family To Yours! Book Mark Challenge and a Freebie!